While walking around Hampstead Heath this morning, I was thinking how autumnal it already felt, and that not so long ago I'd been thinking "finally, summer is here" on one of my Hampstead Heath walks, coming past the same place; and there haven't been enough of these walks in the last months. I've been trying to better this, and earlier this week I visited Golders Hill Park before work. 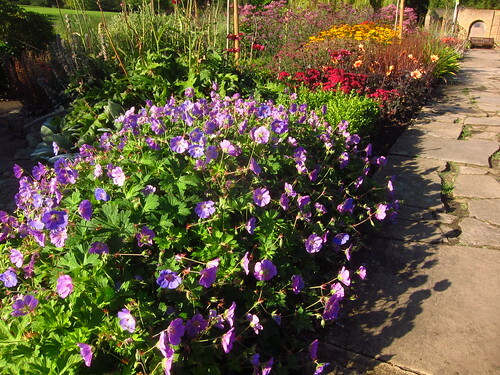 I thought then, too, that it's the end of summer already, looking at the hot "Indian Summer" colours of the plants currently flowering in the garden there. 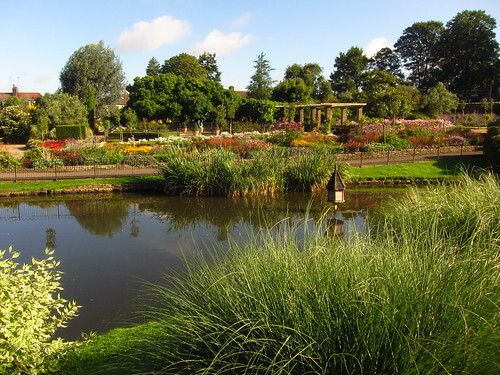 Some of the beds in the flower garden at Golders Hill Park were replanted a while ago, and they're looking great now. 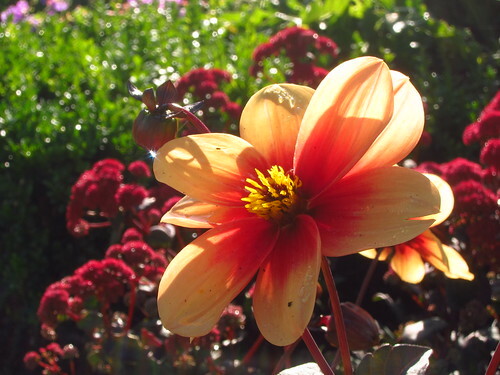 Here's hoping for a long "end of summer" and that we'll get to enjoy these colours in the right weather! 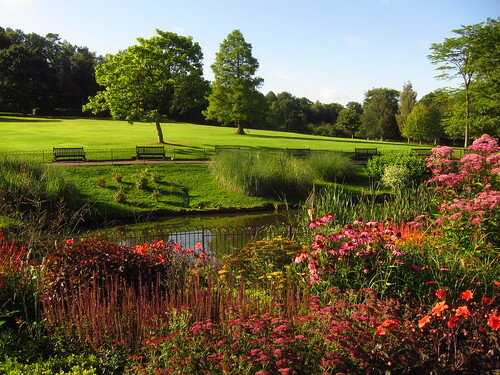 I've written an introduction to Golders Hill Park here. There are many more photos of the park in my Flickr set.